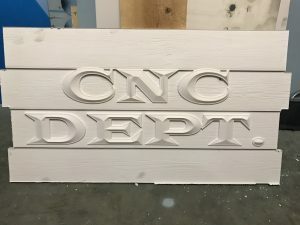 When Mike Smith with Creative Scribing needed to make a sign for the CNC department at his company, he went with 40 pound Precision Board HDU. He knew it would be easy to finish and could take the abuse of a busy area of the company. 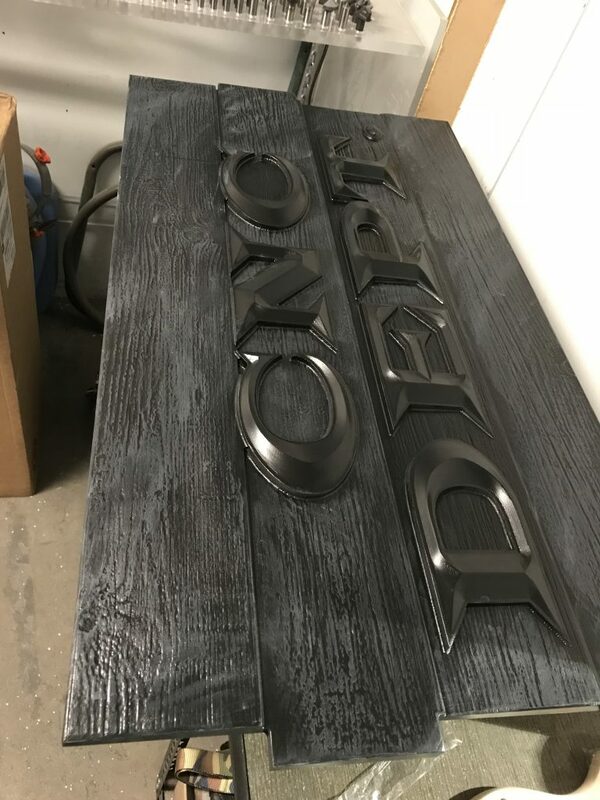 Read on to get some tips on how to save time on sign fabrication by using higher density Precision Board as a sign substrate. 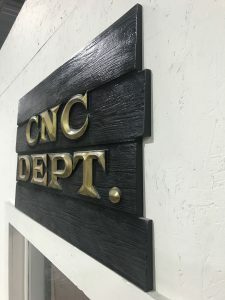 Mike wanted to add some texture to to his sign, so he took pictures of a wood fence wall and added it into his Enroute Software to give the sign a paneled wall look. 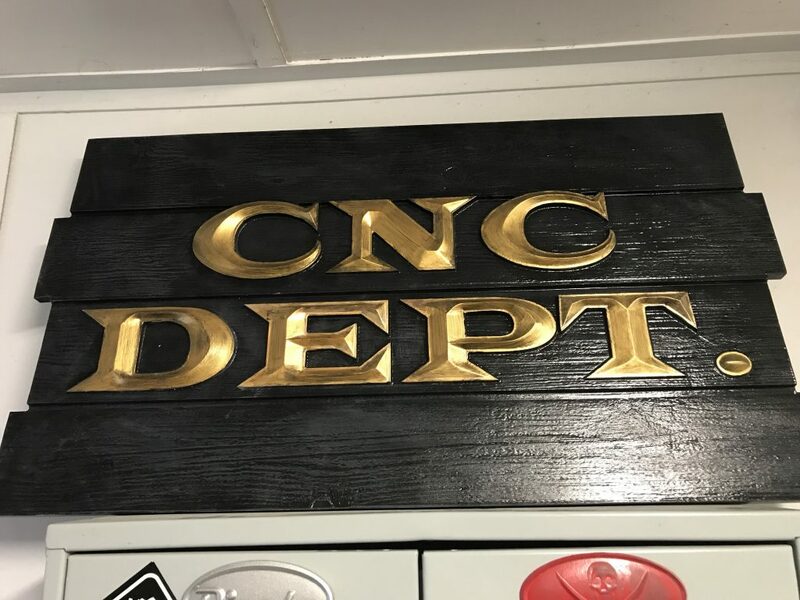 For that old time western look, he put a glaze coat on the letters, then feathered gold acrylic paint on. Creative Scribing is based in Orlando, Florida. You can find his company on Instagram. 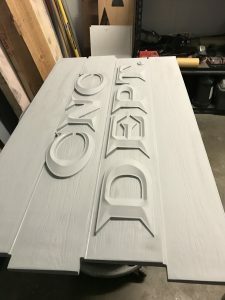 If you’re interested in learning more about the various things he’s creating, you can contact him via email or give him a call at 321-354-4890. He’d love to hear from you. 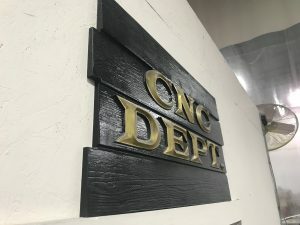 You can get free samples of Precision Board HDU from Coastal Enterprises, request a quote or learn about our companion products, including adhesives, primers & fillers, textures & coatings.